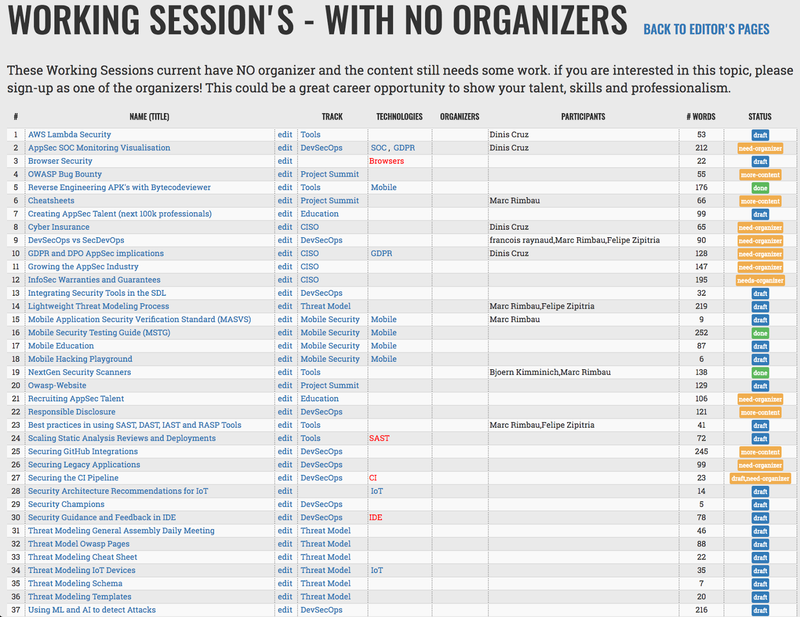 As you can see by the latest list of 76 Working Sessions, we have a quite a good number of very interesting/important topics to collaborate/work at the Summit (with more sessions being added daily). But, one problem we currently have is that 37 of these Working Sessions do not currently have an organiser! You can see the full list here or at the image included at the end of this email. Note that you don't have to be the world's expert in that field in order to be one of the organizers!!! You just need a bit of time, energy and focus (this could even be a great way to improve your career and engage directly with Working Session's participants). If you need help, the recipients of this email (the participants are BCCed) are our current 6 Summit Editors (Akshay, Bjoern, Devesh, Felipe, Mateo and Nikita) which will be more than happy to help you. You can also reach out to the Summit's Slack Channel where there is always somebody at hand to help. Let's raise the quality and impact of these Working Sessions!